Whether you’re writing a card to your mother, grandmother, a beloved uncle or a family friend, the important part of a birthday card is not what’s written on the cover, but what you write on the inside. For some people, a funny joke or a poem may be appropriate, while for others you’ll want to write a powerful message straight from the heart. A personal touch is especially important when you’re talking about a big event like a 75th birthday. 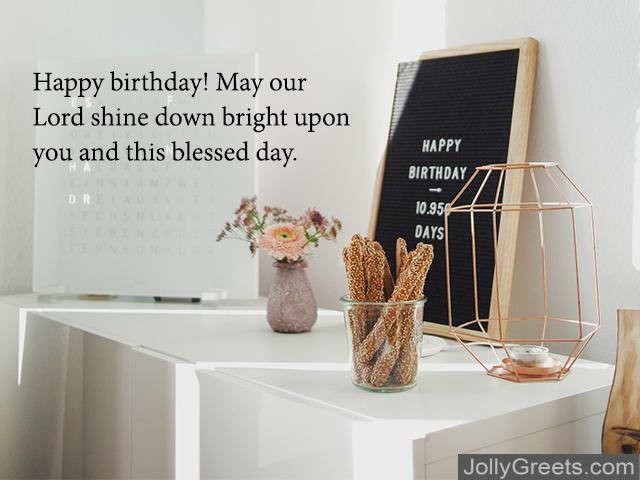 If you’re the type of person who struggles with a personal note on a card, check out the examples of 75th birthday messages below. (for grandmother) Happy birthday, Grandma! Thank you for always being the best Grandmother someone could ask for. I hope you have a wonderful day! Happy birthday Gram! Wishing you the very best on your special day! To my Grandma, I hope this birthday sees you happy, healthy and surrounded by love. Grandma, happy birthday to you. I hope you enjoy your special day and be sure to make Grandpa do all the dishes today! (for grandfather) Happy birthday Grandpa! Just remember, on your birthday, you can do anything you want, as long as it’s what Grandma wants to do too. Happy birthday, Grandpa! Here’s to another year of friends, family and fun! Happy birthday Grandpa, I hope that you’re celebrating in style this year. Don’t let Grandma stop the party early, at 75 you’re probably grown up enough to stay out late! (for mother) To my wonderful mother, I hope this day brings you as much happiness as you’ve brought me all these years. I love you. Happy birthday, to the best Mom a grown-up kid could ask for! Through all the years, You’ve loved me best, Through all my tears, You’ve built our nest. For on this day, This rhyme for you, To my sweet Mom, May all your birthday wishes come true! To the best Mom, I wish the very best birthday. (for father) Happy birthday Dad! Have another beer (or four) to celebrate, you deserve it for dealing with us kids all these years. Dad, thank you for always being there for me. I hope you know how much I appreciate you, especially on this day. I’m trying to make this card sound sweet enough that you don’t realize I forgot your present (again). Did it work? Happy birthday! Happy birthday to my very favorite Dad! Even if I had more than one, you’d still be my favorite. Happy birthday old man! Here’s to 75 more crazy birthdays together! Happy birthday Dad! Some day you’ll have to share your secret with me, you don’t look at day past 74! (for mother-in-law) Many happy birthday wishes, to the woman who deserves for all her dreams to come true. (for father-in-law) Happy birthday to you! We hope your day is full of laughter and joy. 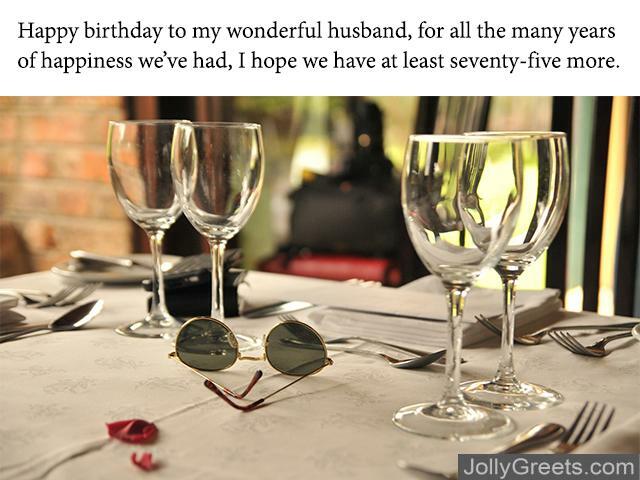 (for husband) Happy birthday to my wonderful husband, for all the many years of happiness we’ve had, I hope we have at least seventy-five more. (for wife) Happy 75th birthday honey! I never would have guessed that we’d make it this far. Thanks for keeping me around all these years! Happy birthday to my love, my heart, and to my soul. To another trip around the sun together. Dear wife, happy anniversary of your 29th birthday! You’re only as old as you tell people you are! To my darling wife, I wish all the joy and laughter in the world for you on this special day. Happy birthday my love. (for daughter) To my darling daughter, I send you all the happiness in the world on this special day. (for son) Happy birthday son! You might be getting older, but I think you’re finally getting wiser too. If not, there’s always next birthday! (for extended family) Happy birthday to you, I hope it’s more fun than the last family reunion! (for niece/nephew) Happy birthday, to the best nephew an uncle could ask for! Dearest niece, a very happy 75th birthday to you. May your years be filled with love and laughter. (for aunt) Happy birthday to my darling Aunt, I hope this birthday fills you with peace and happiness. (for girlfriend/boyfriend) Happy birthday! May your day be filled with all the joy that you bring me. Happy birthday, there’s no one I’d rather celebrate than you. (for sister) Dearest Sister, you might be turning 75, but you only look 74, maybe 74 and a half on a bad day. Happy birthday! Happy birthday to my loving Sister, may this day bring you all your birthday wishes come true. (for brother) Happy birthday brother! I hope it’s as much fun as you are! Brother, I hope this birthday finds you healthy, wealthy and well. Have a wonderful day. (for friends/ acquaintances) Happy birthday! You always brighten my day, so I hope today is full of people doing the same for you. Best wishes. 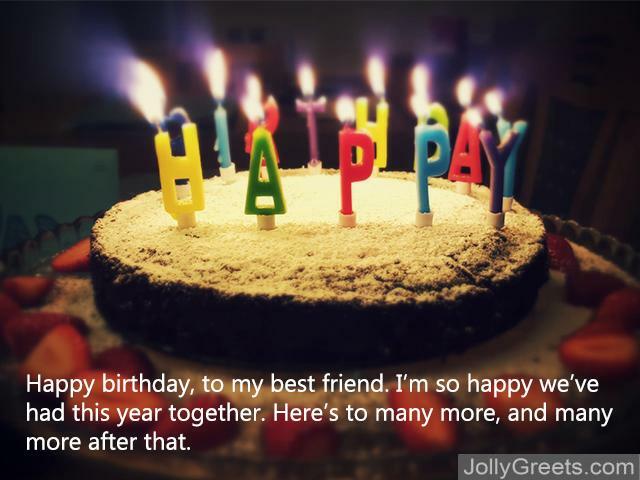 (for best friend) Happy birthday, to my best friend. I’m so happy we’ve had this year together. Here’s to many more, and many more after that. (for boss) Happy 75th birthday, to the boss that always supports us, guides us, and lets us take off early on Fridays. Happy 75th birthday. We are so thankful to have such a wonderful leader in the office. We look forward to another year of working for you! (for subordinate) Happy birthday. Now get back to work. (for coworker) We’ve laughed together, we’ve cried together, now let’s eat some pie together! Happy Birthday! Happy birthday! May your day be filled with blessings (and cake)! Happy birthday! May our Lord shine down bright upon you and this blessed day. On your special day, I give thanks for all that you are.